Those pants are gorgeous and I love how you styled them with that top! Those pants are gorgeous! I love this whole outfit! cute outfit. love the pants! What a great look! Love it. I have a new page lovely I hope you can visit. I changed over to wordpress. You look great Jackie! The pants are so chic! These pants are fantastic! The print is just amazing and so is the fit! Love the black and white outfit and great hat! loved the outfit! great place to take pictures! I like your blog very much and I would be so happy if you could visit mine and tell me what you think! http://www.thestyletographer.com/ Thanks an XO from MEXICO!! Wow your look is STUNNING!!!! I AM IN LOVE WITH THE PRINTED PANTS. You look great with that kind of shirt and your beautiful waistline :D Like a model! I love your OOTD! 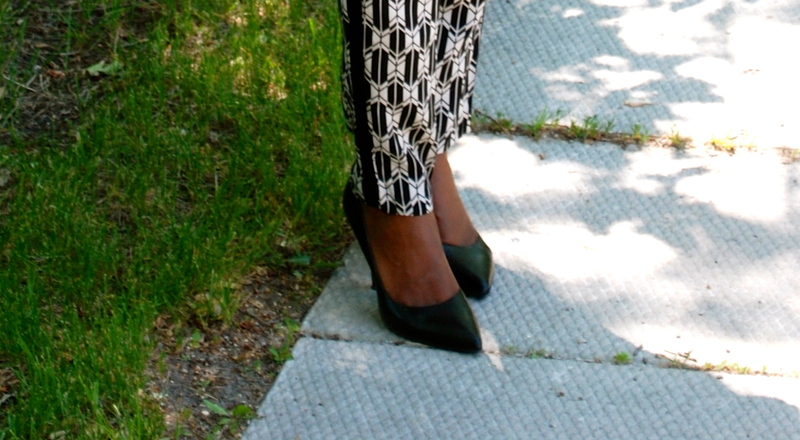 I agree w/ Donald, tribal print pants are making a great comeback this season with a modern twist! I've seen the print in just about everything from clothing to furniture! Love it! This is a really cute look! Just the perfect amount of trendy and feminine!